In the long, sordid war between the Republican Party “establishment” and tea party factions working to unseat those they see as ideologically wayward, nothing has infuriated conservative activists quite like what happened Tuesday in Mississippi. Following a three-week runoff campaign between 36-year Republican Sen. Thad Cochran and tea party-backed candidate Chris McDaniel, the incumbent defeated his challenger by about 6,400 votes — a bigger margin than in the first primary vote on June 3. The larger turnout in the second round came in part thanks to an aggressive get-out-the-vote effort in which Cochran courted Democrat-leaning voters, particularly in regions of the state with a majority of black voters. It’s not illegal in Mississippi for Democrats to vote in a Republican runoff election — the state operates under an open primary system, meaning that registered voters can cast their ballots in any primary, regardless of party affiliation, as long as they haven’t already voted in the other party’s primary — but McDaniel supporters are furious that Cochran sought the backing of Democrats to lift him over the finish line. Shirley’s argument, which was echoed by tea party group leaders and others involved in the race, contends that Cochran’s campaign scorned the party’s conservative base in order to win. In many ways, the Mississippi runoff was ground zero for the ongoing war between the tea party and the GOP establishment — a war that the tea party movement has been losing in this election cycle. Outside groups flooded the state with hundreds of thousands of dollars worth of support through media ad buys and groundwork. Volunteers and activists were bused and flown into the state. Top Republicans like Senate Minority Leader Mitch McConnell hosted a fundraiser that raised $800,000 for Cochran. Tea party groups pooled resources to pay for poll monitors and for lawyers to review the state’s election laws. Even though Cochran won, conservative activists say that the Mississippi race was a pivotal moment that will serve as the turning point for those who are increasingly fed up with the party. Despite McDaniel's loss Tuesday — or perhaps because of it — Brandon said the tea party movement has been emboldened. “The tea party is going to be a permanent part of the American political and social life. Period. It’s the most successful movement since the American civil rights movement," he said. "Bar none." 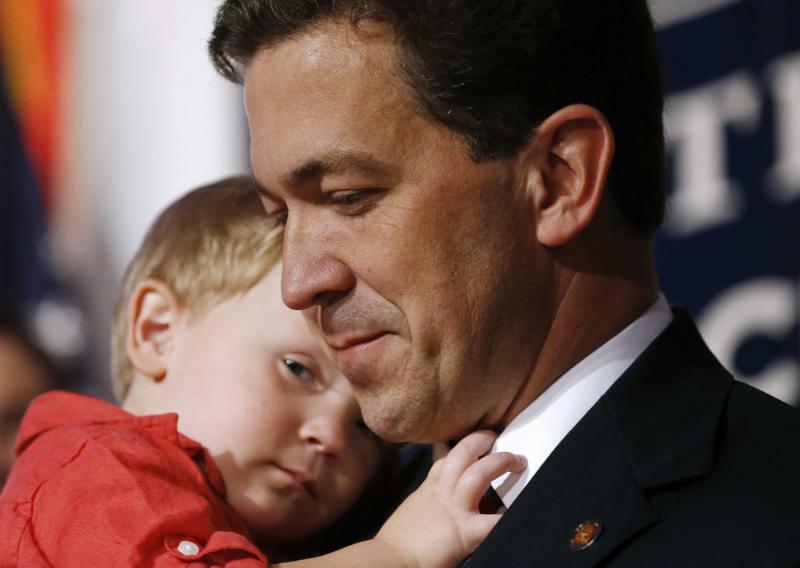 The anger and frustration was clear on Tuesday night when, after the results showed Cochran’s victory, a defiant McDaniel refused to concede the race. At issue was the possibility that Democrats who voted for Cochran also cast votes in their own party’s primary — and whether enough Democrats did so to change the outcome of the race. As of this writing, McDaniel still has not conceded, and he said in a statement Wednesday that he is weighing his legal options. The Senate Conservatives Fund, one of the groups that backed McDaniel and helped fund polling center monitors, told Yahoo News on Wednesday that it would not challenge the results of the election in court. But even if Cochran and his allies followed the letter of the law, the lengths to which he went to secure his incumbency still have some conservatives fuming.